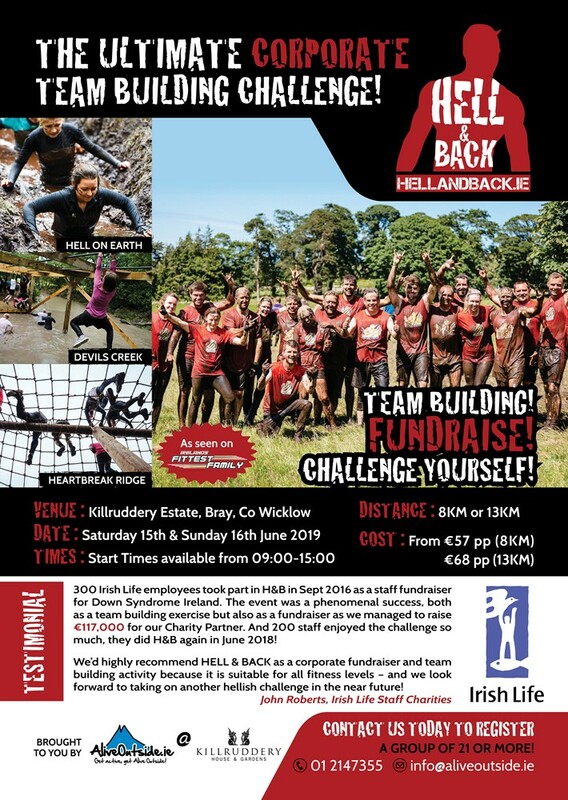 OPTION 1: TAKE PART IN AN AWESOME HELL & BACK EVENT! 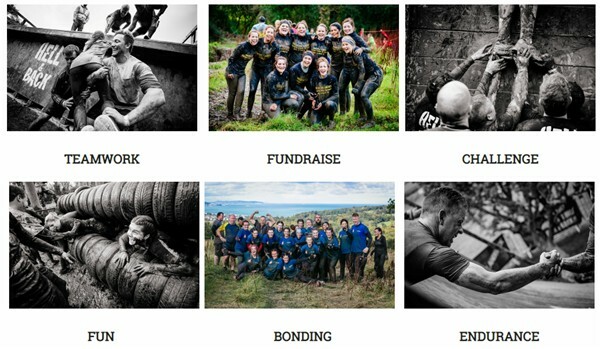 There’s no doubt that, for team building, HELL & BACK is the BEST event in the country to take part in…it is Ireland’s Toughest Physical & Mental Endurance Challenge after all!!! a) Anyone can finish H&B - you can do it in your own time as it’s not a race, it’s a challenge – so perfect for employees of all fitness levels! b) H&B is also be a fantastic opportunity to raise money for your Charity Partner. Our next H&B is on Saturday 15th June 2019 in Killruddery Estate, Bray, Co Wicklow - see PDF leaflet below. Prices start at €57 per person for groups of 21+ so email us now or call 01 2147355 to register!!! 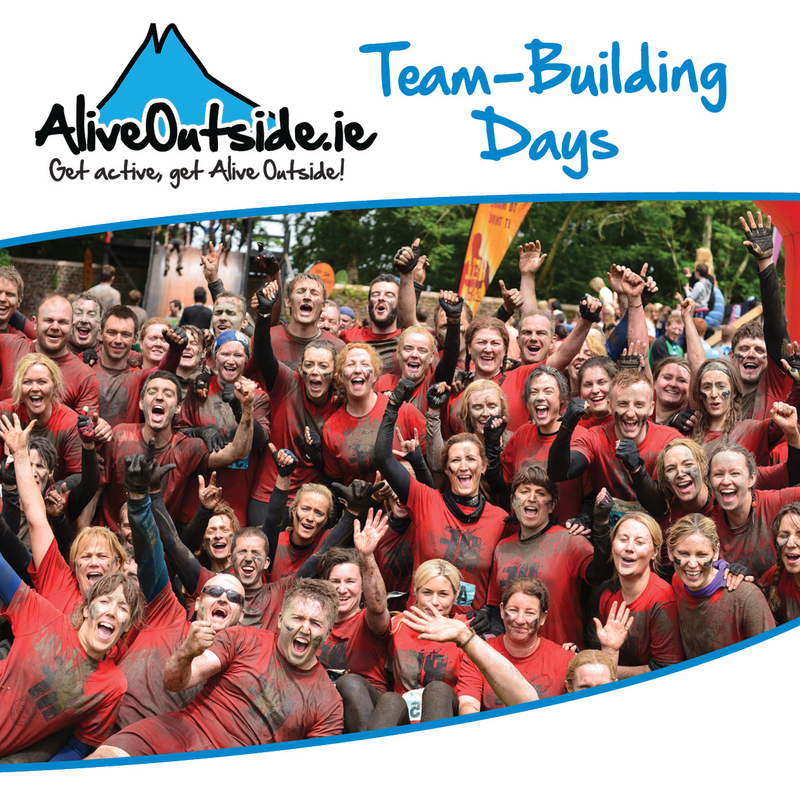 For more information, or to make a Corporate Booking, call us today on 01 2147355 or email info@aliveoutside.ie.